A new wave of pointed-toe flats obsession took me over. So it happens, you go for shopping with a specific purpose and you find things that you not only expect to find, but didn't even plan to buy. I began my preparations for Autumn season in advance, so when I had a couple days-off from my work duties, I went for a shopping trip to find out what offering do the stores have for Riga people. Having some own wardrobe replenishment was in my plans as well. Let me tell you one thing - sales were invented by devils! No no no, to buy a really good thing for half-price is a real success, especially, if you are lucky enough to find your size. And let's be honest, who doesn't like sales?! But, listen, for the saved money due to discounts you immediately want to buy something else. It's like an instinct. As a result you find yourself spending several times more than you could, if only you bought this skirt for full price. And I'll never believe that I'm the only person who acts this way. This is how I was going to get myself a skirt, only a skirt, but ended up leaving the store also with a pair of flat shoes. It didn't look very conspicuous, but it simply jumped into my hands! Honestly! 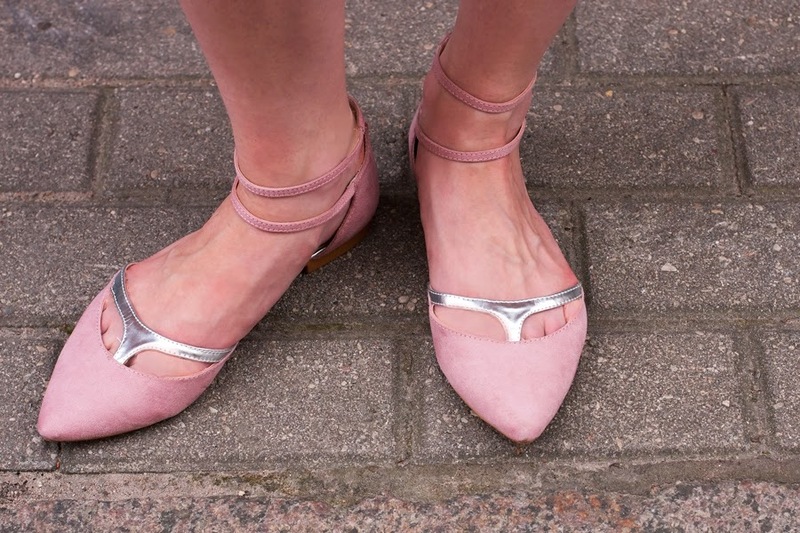 Pale pink color and pointed-toe played its part. And just right before the Autumn season began, my shoe collection was joined by a pair of truly Summer-y ballerinas. What was the look I came up with for the debut of these cuties? 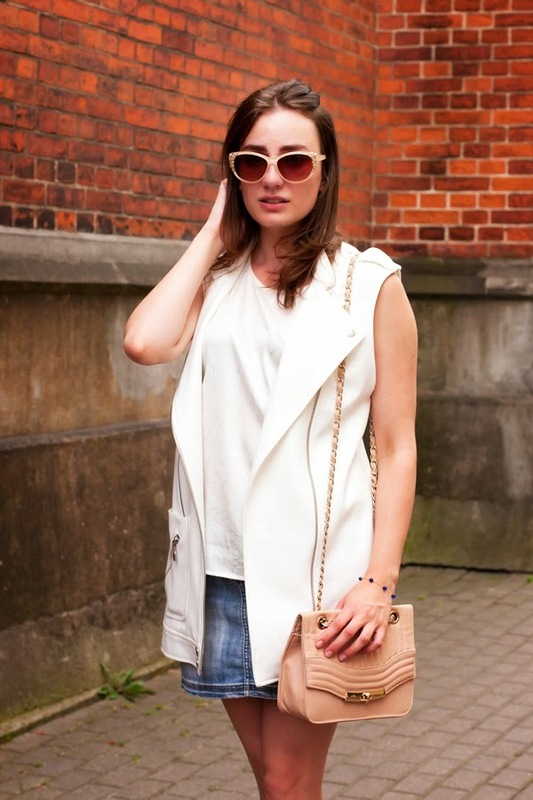 Laid back, casual and light. I really wanted to see how pointed ballerinas will work together with the denim skirt. I guess, the tandem turned to be interesting, such a game of contrasts. I paired this lovely couple with top and long vest. 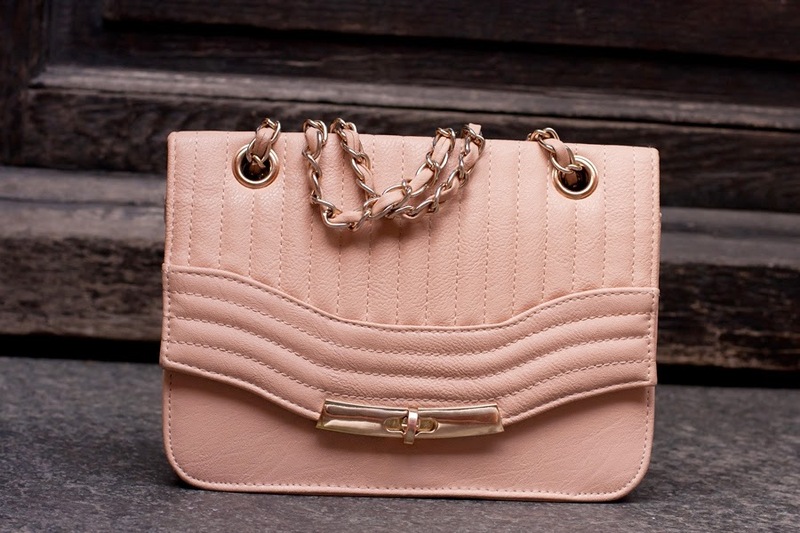 Classy bag with chain and sunglasses finished the look off.